Lunchtime rush at Two Elk. Three days have a way of flying by in paradise. Whether you’re a local, a Front Range regular, a first-timer, or a vacation homeowner on your 50th return trip to the Vail Valley, even a spare 72 hours never seems to be enough time to fill every bucket on your list. Even after the fullest of days, the itemization of all you forsook—the iconic runs you didn’t ski, the house specialty you didn’t order, the museum tour of Vail history you put off for the future—will always be longer than your “done that” checklist. To help you prioritize and make the most of a three-day weekend, we’ve compiled a 72-hour sampler of the best of everything wintry our happy valley has to offer, from skiing to spas and meals that elicit oohs and ahs—all the good stuff memories are made of. There’s no better way to start a ski day in Vail than with the mouthwatering buffet at the Sonnenalp Hotel’s signature restaurant, Ludwig's. 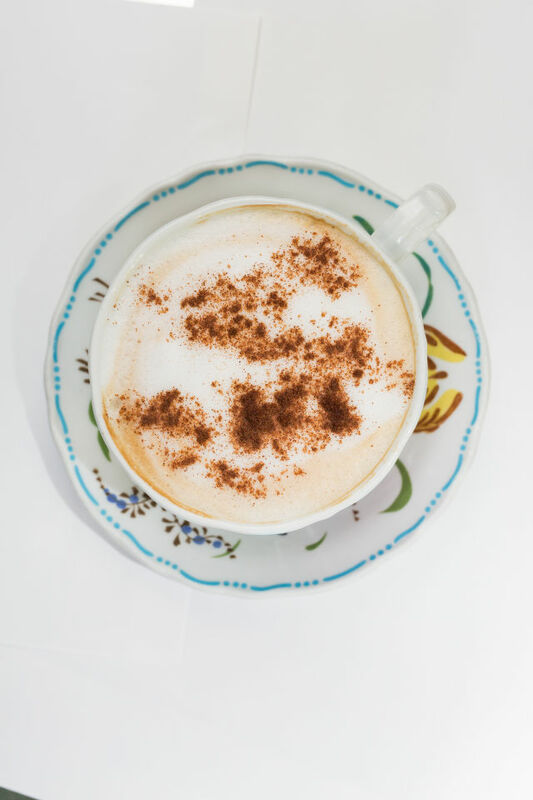 Culture is the appetizer: reading a copy of the New York Times, sipping coffee out of a delicate German cup, and listening to the worldly range of accents and languages in the terrace dining room. Then comes the food: divine apricot and cherry Danishes, luscious French toast, made-to-order omelets, a fresh fruit spread of silver-dollar-size raspberries, the eggs Hemingway (a.k.a. smoked salmon eggs Benedict), homemade quiche, tasty cured meats, and a tall glass of fresh-squeezed orange juice. You might as well call it a breakfeast. And at $28 per adult (and $19 for kids 6 to 12), the buffet remains one of the unlikeliest bargains in the valley. Vail’s Swingsville groomer serves as a proving ground for novice skiers. Even locals who’ve skied Vail for 20 years will tell you they still haven’t skied every run tucked into every last one of the resort’s 5,289 skiable acres. So don’t expect to hit them all—or even come close—in a day. Instead, make a plan that delivers a sampling of the terrain you like best; it will help keep you from feeling overwhelmed by Vail’s vastness. To sample a little bit of everything, get to the lift when it starts turning and warm up with a couple of frontside groomers. You won’t go wrong with wide-open favorites like Northwoods or Avanti, each of which makes you feel like you’re schussing down a corduroy ocean. If you’re lucky enough to score a powder day (and if you feel comfortable skiing or riding steeper pitches), lap Chair 11 while staying afloat through the pockets of fresh snow in Prima Cornice, where the leeward aspect tends to catch so much fluff it can pile up twice as deep as everywhere else. Once you’ve had your frontside fill, drop into the Back Bowls (weather depending: the terrain typically opens by the end of December), which are world famous for a reason. Point ’em down Forever in Sun Down Bowl, then do the same on Headwall in Sun Up Bowl. After savoring the zip up the resort’s newest high-speed lift (once the slowest chair on the mountain), fight gravity on Genghis Khan, the crown jewel of China Bowl and one of the longest sustained pitches on the mountain. If time allows, head to Red Square or Blue Sky Basin for a taste of remoteness. Then once you’re cooked, return to the base via Riva Ridge, a classic among classics that’s the perfect finish to the perfect ski day. Insider Tip: Want a second opinion? Download the resort’s EpicMix app and use the “Guide” feature, a ski run mapping tool that will suggest a customized itinerary based on your preferences. If you prioritize quality over quantity, skip the Blue Sky Basin lift lines (which, like all lines, you can monitor in real time via the EpicMix app’s “Time” function) and lap China Bowl’s lower Sweet N Sour zone via Teacup Express. The circuit takes a little longer, but you’re almost guaranteed to find fresh lines on every run. 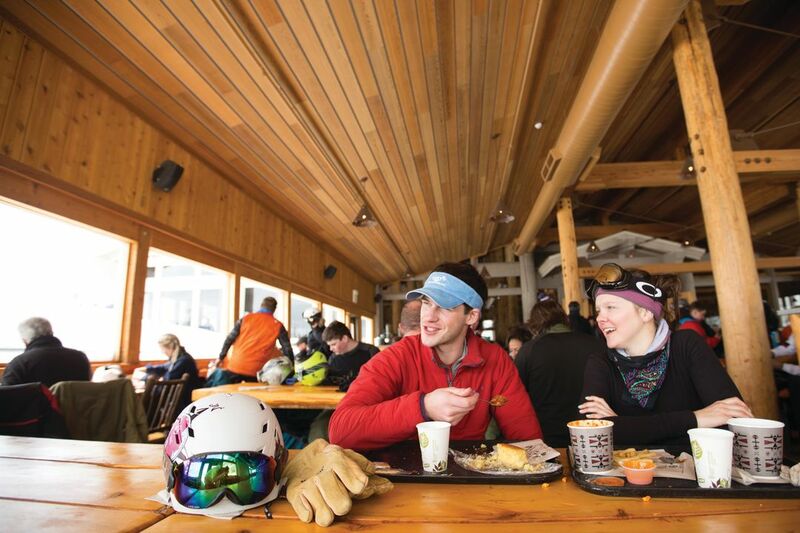 Everyone knows a hearty, satisfying lunch is crucial to lasting—and enjoying—a full day on the hill. 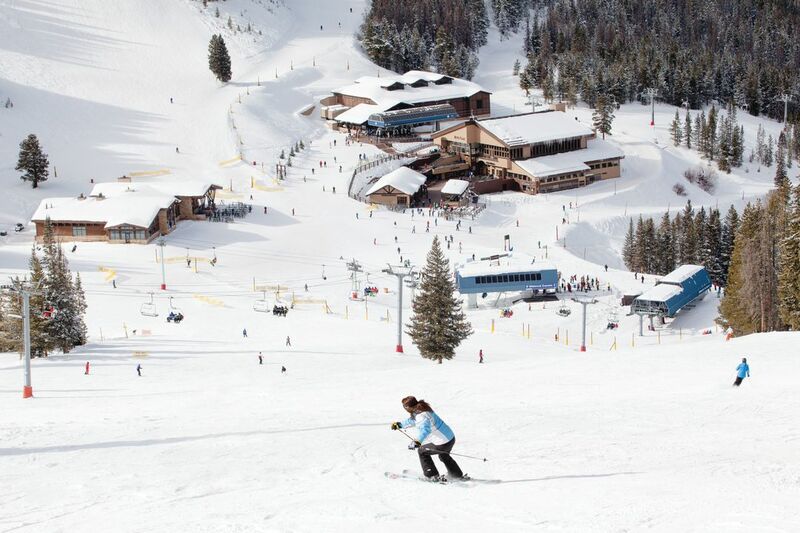 At Vail, your choices are almost as limitless as the number of runs. So again, you’ll need a plan: 1) trust fate and pop into whichever restaurant is closest when the hunger pangs are no longer bearable, or 2) tactically plot your morning runs so you arrive at your chosen destination at just the right time (ideally outside the noon-to-1 p.m. rush). As much as the eateries throughout the resort make option no. 1 feasible, we recommend option no. 2. If you prefer traditional barbecue, spend your morning lapping Chairs 3 and 7, then head to Wildwood Smokehouse and order the half-chicken with kale salad. If a steaming bowl of belly-warming and appetite-sating flavor is your thing, tackle the double blacks around Chair 10, then the groomers on Chair 14, and end your morning at Vail’s flagship, Two Elk Restaurant, and order the signature buffalo chili. If you’d rather a more formal sit-down experience, start your day with a buffet of blue cruisers around Chair 4, then descend to the newest on-mountain restaurant, The 10th at Mid-Vail, where you can trade those toe-numbing, cold plastic boots for cozy slippers and sup on the porcini-scented quail or Colorado striped bass. Nowhere in Vail captures the festive après-ski atmosphere quite like Vendetta’s, a landmark watering hole on Bridge Street that serves pizza and pitchers to a boisterous crowd ranging from ski patrollers (who get their first pint for free once they’ve clocked off) to tourists (who don’t) every afternoon of the winter. 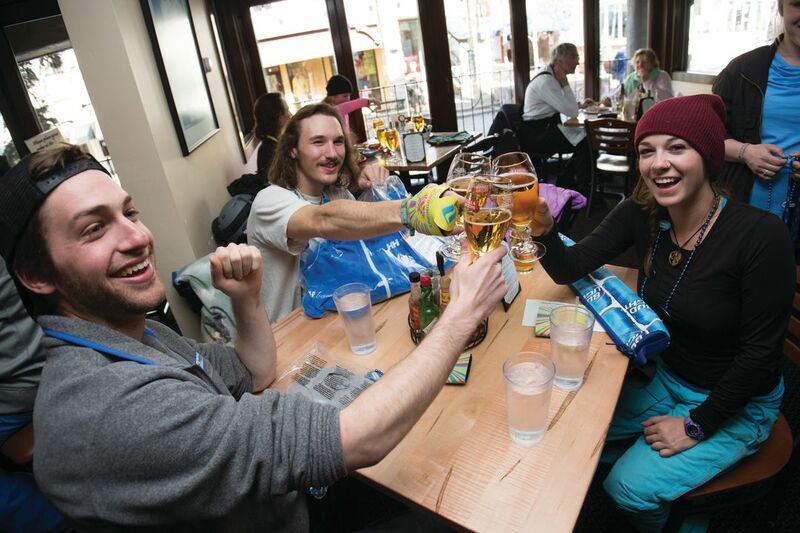 I still remember my first après there in 2002; four old friends and I somehow lucked into a prime table just inside the patio after one of the deepest powder days of our lives. Snow still hung from our beards as the afternoon melted into the evening, each story getting better by the pitcher, the capstone to an epic day. Grilled Skuna Bay salmon with polenta at Pepi’s. 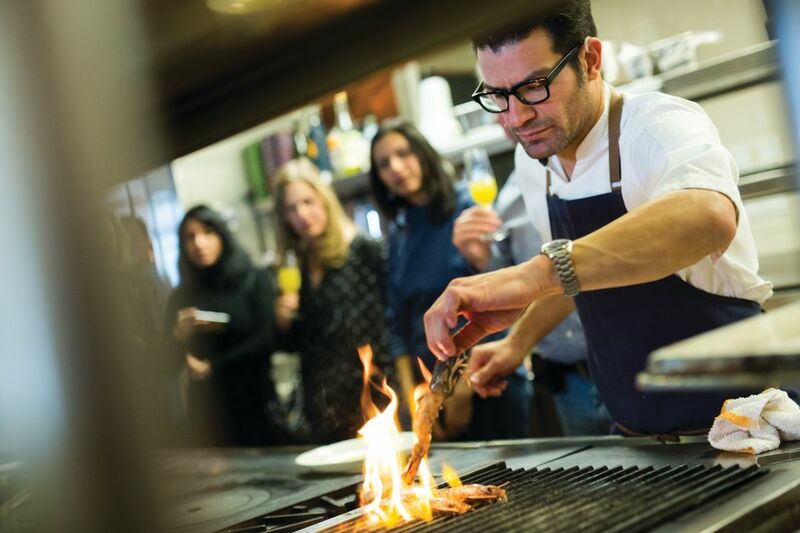 You won’t find many restaurants like Pepi’s—located in the Hotel Gasthof Gramshammer in Vail Village, just south of the covered bridge—anywhere in the world. 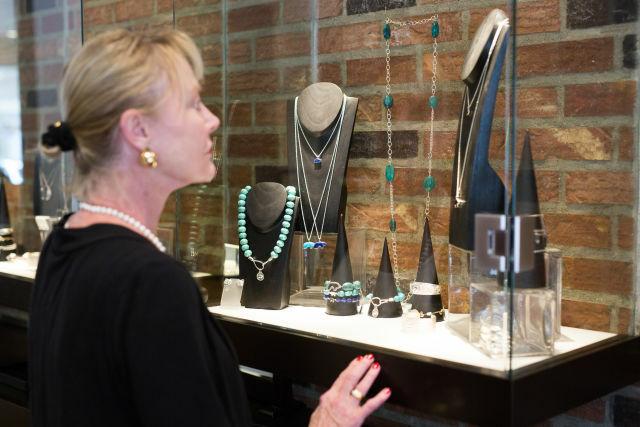 Pepi’s is owned by the village’s most famous couple, Pepi and Sheika Gramshammer—he an Austrian ski racing legend and she an Austrian innkeeper’s daughter who danced in Las Vegas. Pepi’s has been serving up spirited European alpine culture since the Gramshammers (who still live upstairs) founded the establishment in 1964. You can catch live entertainment seven nights a week in the newly remodeled bar (don’t worry; it’s still historic: on the wall of fame hang dozens of black and white portraits of celebrity patrons from the past half-century). And with a pair of cozy dining rooms offering a wide-ranging international menu, this is an iconic spot where the spirit of Vail lives, and also comes alive. Reserve a table in the Antlers dining room (appointed like an alpine hunting lodge) and prepare for a wild game menu that will make your mouth water. Choices range from classic Austrian dishes like wienerschnitzel (a fried veal cutlet as big as André the Giant’s palm) and jägerschnitzel (pounded veal medallions with wild mushroom sauce and spätzle) to Russian wild boar, caribou rack (carved tableside), venison, duck, and lamb. In other words, a worthy end to a memorable day. 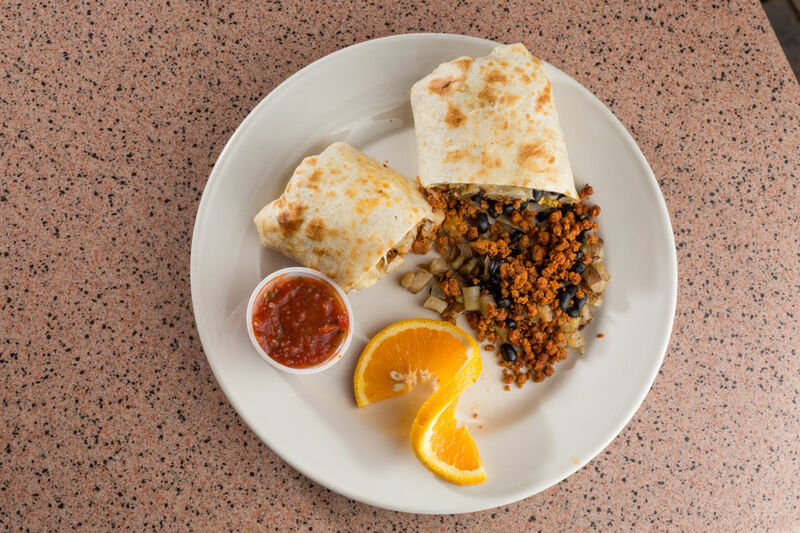 We recommend the breakfast burrito at Avon Bakery. If you’re not staying at Beaver Creek, the best place to fill up before hitting the slopes is the Avon Bakery and Deli. It’s nondescript, wedged in a shopping plaza between roundabouts in the heart of Avon, but I’ve never been there when it wasn’t busy—for good reason. The bakery uses certified organic flours in all of its breads, which are baked in an Italian steam-injected hearth oven, and offers 15 different kinds of bagels, from multigrain to veggie-Swiss. Whet your ski-day appetite with any of the following: the pepperonata, egg, and cheese sandwich (served on focaccia); the hefty breakfast burrito (chorizo, scrambled eggs, home fries, black beans, cilantro, cheddar, and salsa; substitute spinach for chorizo if you prefer); or the mouth-watering assortment of fresh-baked pastries: raspberry croissants, cranberry-coconut muffins, and the best cinnamon rolls you’ll find in the valley. 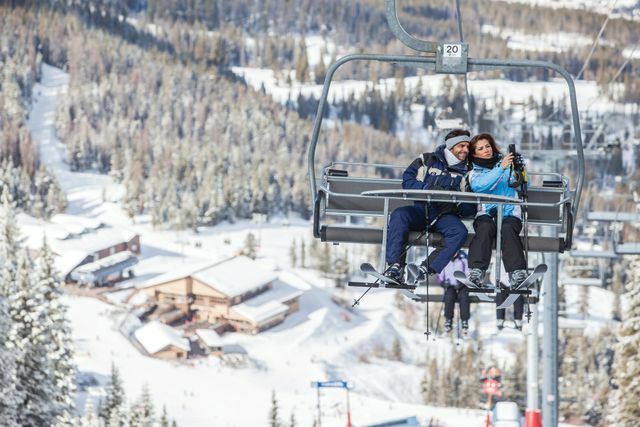 “The Beav” may play second fiddle (albeit a Stradivarius) to Vail in the eyes of the world, but it still ranks among the best ski resorts in North America—and to plenty of locals, it is no. 1 in the Vail Valley. The reasons for these distinctions are plenty. Even at one-third the size of Vail, with (only!) 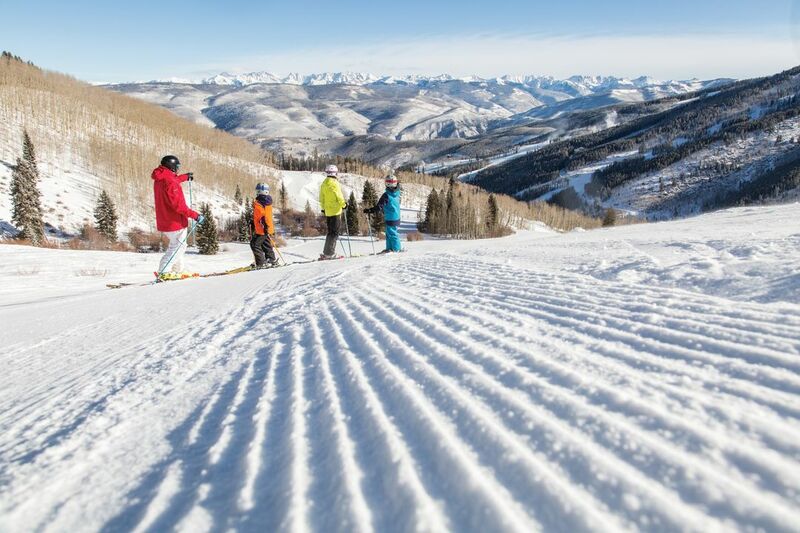 1,832 skiable acres, Beaver Creek rarely gets overrun by crowds. The groomers are impeccable, the bump runs are long, steep, and testing, and one of the greatest spectacles in American sports—the Audi Birds of Prey races—gives the U.S. its only men’s FIS Alpine World Cup stop each December. 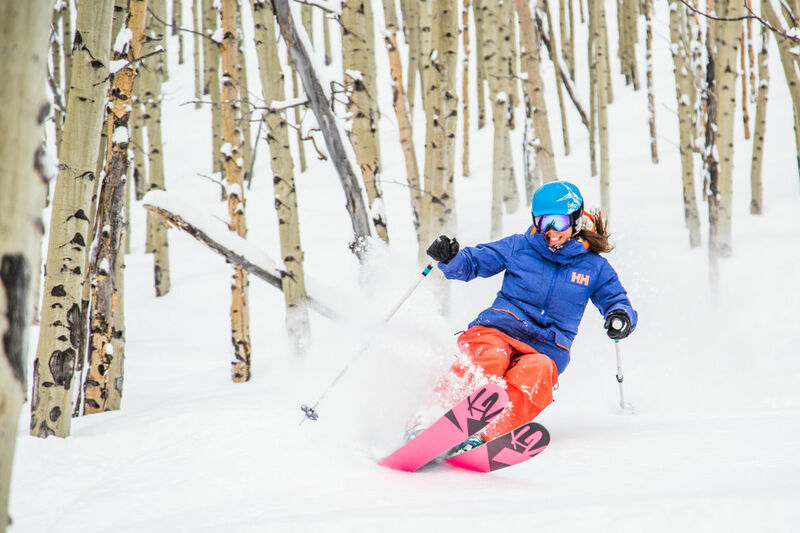 Start your day with a ride up the new Centennial Express “chondola” from Beaver Creek Village, then warm up the legs with snappy S-turns back the way you came, down Centennial. Each lift at the Beav accesses a particular brand of terrain, so don’t be afraid to study a trail map (or consult the resort’s EpicMix app) to determine which best suits your style or ability. The Drink of Water Lift (a.k.a. Chair 5) is great for beginners, just like Grouse Mountain Express (Chair 10) is a proving ground for advanced and expert skiers and riders. Mogul fans will enjoy Peregrine (at the top of Birds of Prey Express/Chair 9) and Cataract (under Rose Bowl Express/Chair 4). Backcountry aficionados head to the Stone Creek Chutes for steep—albeit short—shots through the trees via the reliably quiet Rose Bowl Express. If your edges are sharp, don’t miss Golden Eagle, which, when the course is ice-hardened during race weeks, sends the world’s fastest skiers schussing and soaring down a 45-degree slope at 70 mph. It’s a rush like no other. Insider Tip: Powder days afford—and reward—a different strategy at the Beav. Instead of starting on Centennial, cross the skiway over the road and board the Strawberry Park Express (Chair 12), then take a left off the lift at the summit and follow the catwalk trail to Larkspur Bowl, which holds wide open fields of fresh snow. 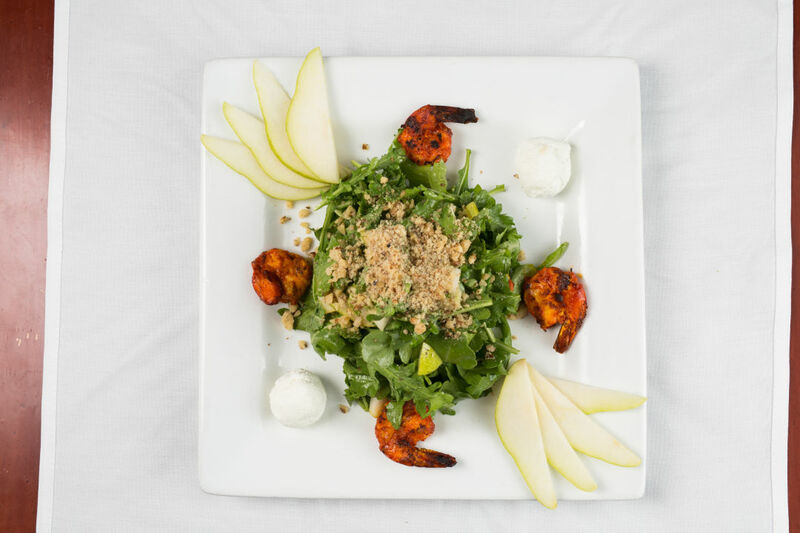 A picture-perfect plate at Saddleridge. 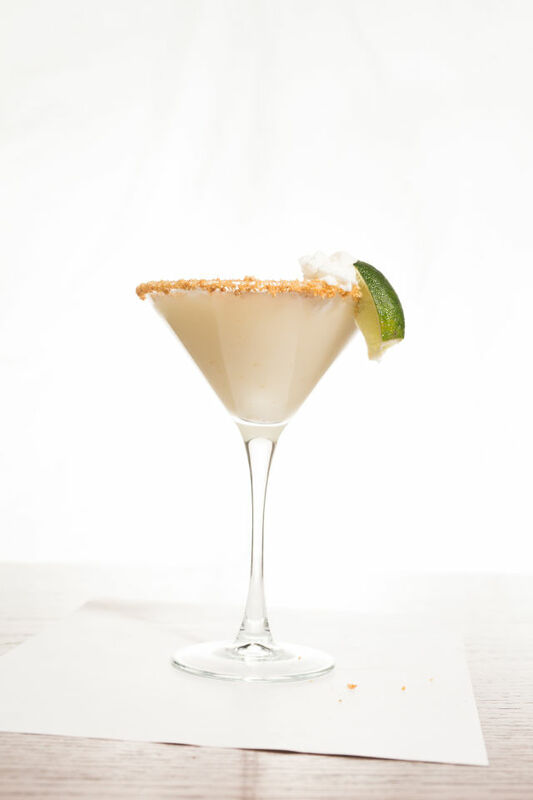 We recommend the key lime martini at Beaver Creek Chop House. 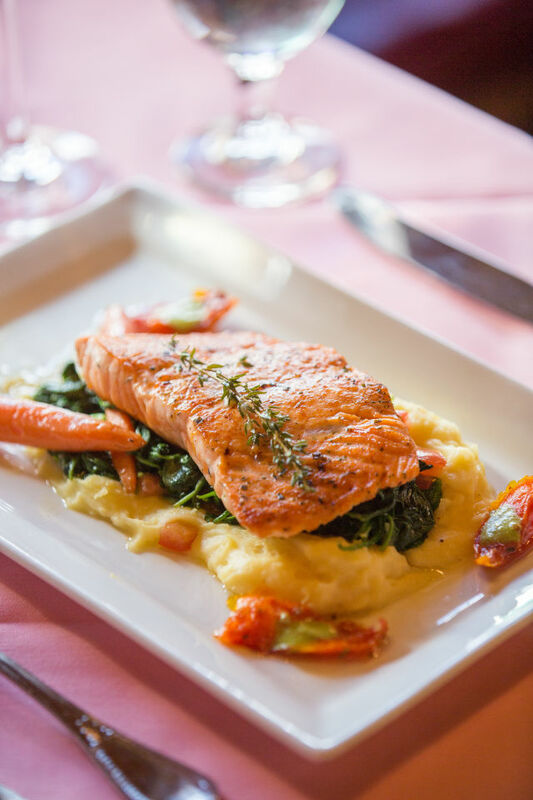 Located slopeside in Beaver Creek Village, the Chophouse is as much a treat as an institution. Co-owner Phil Long doubles as a lounge singer, complementing an après menu that ranks among the best in the valley. You won’t find dollar beers here, but you will find warm Camembert (with spiced apricot glaze and flatbread), poutine (with foie gras gravy), and a seafood bar with everything from oysters to colossal lump blue crab. Beast + Bottle executive chef Paul Reilly guest-stars at Splendido’s grill. When Brian Ackerman took over as owner/executive chef of Splendido last summer, it marked a blurring of chapters in the Beaver Creek Chateau treasure’s history. Ackerman had spent 13 years as David Walford’s chef de cuisine and knew well the iconic brand he was carrying forward. His new role also meant he could tweak a few things to make the iconic restaurant even better. “We didn’t want to rock the boat,” Ackerman says—but you might notice a few changes if you’ve been there before. The salmon Benedict at Westside Cafe. To kick off your day away from the slopes, drag your weary legs and hearty appetite to the Westside, a valley favorite attached to the lobby of the Holiday Inn in West Vail. 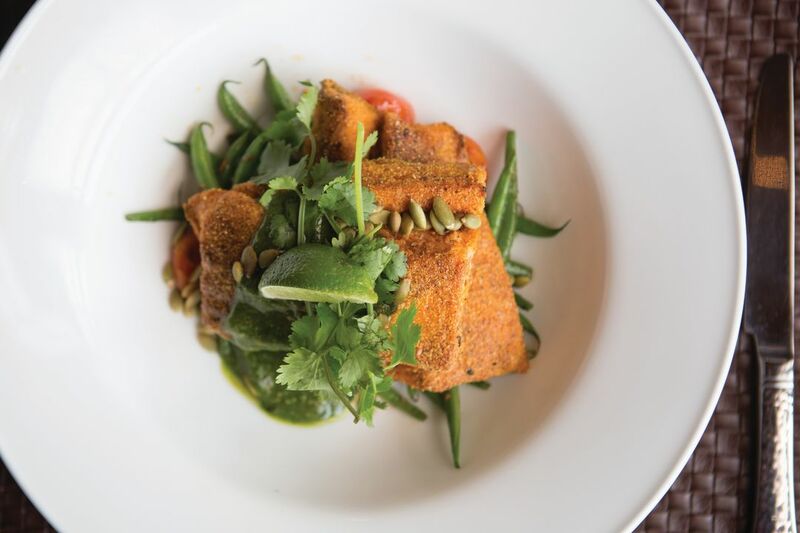 Founded in 2002 by three locals who worked together at Sweet Basil, the Westside serves healthy portions of American comfort food in a buzzing atmosphere that never seems to lull. 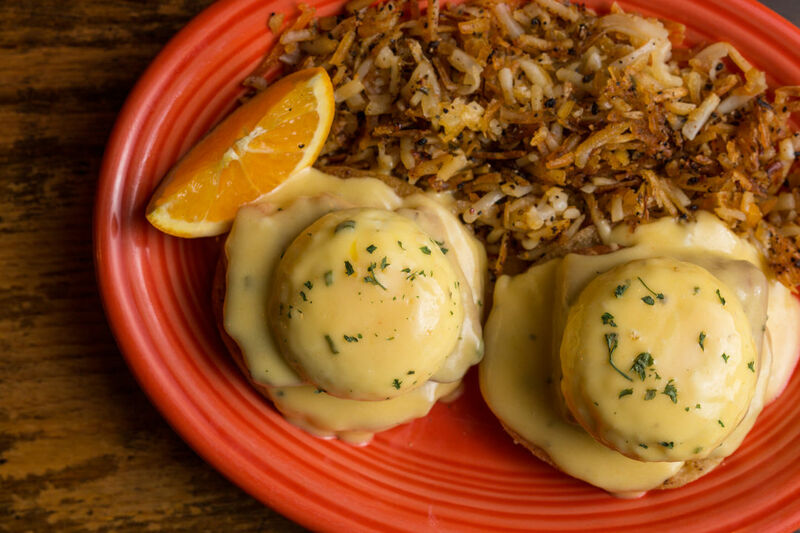 Must-haves: the Westside lox, which gets cured for 36 hours; the bison tenderloin Benedict; or the Southwestern skillet—a delicious and filling formula consisting of nine ingredients. A pre-breakfast caloric burn at Vail Nordic Center. Day off? Ha! Whereas gravity propelled you the first two days, on your “rest day,” you get to propel yourself. 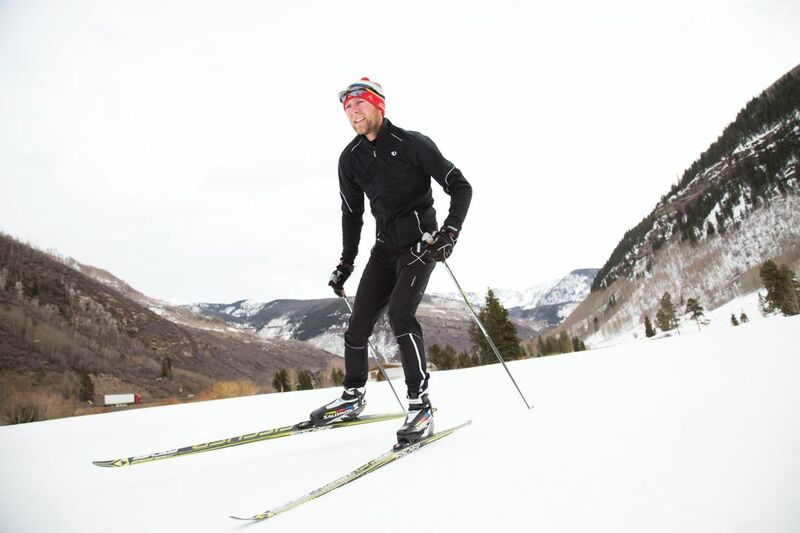 The Vail Nordic Center offers the best recreational return on investment in town. A daily trail pass costs just $8, and rentals range from $17 for a classic ski or snowshoe package to $22 for the skate ski package. You’ll glide along blissfully groomed trails while staring up at the sawtooth skyline of the Gore Range. New to the sport? Sign up for a beginner lesson for $56, rental gear and trail pass included. After some kicking and gliding, head back to Vail Village for lunch and idyllic views of Gore Creek at Up The Creek. Standouts include the braised short rib (served with bacon-and-gouda mac and cheese with asparagus) and the arugula salad (with vanilla vinaigrette, goat cheese, Asian pears, walnuts, and achiote prawns). 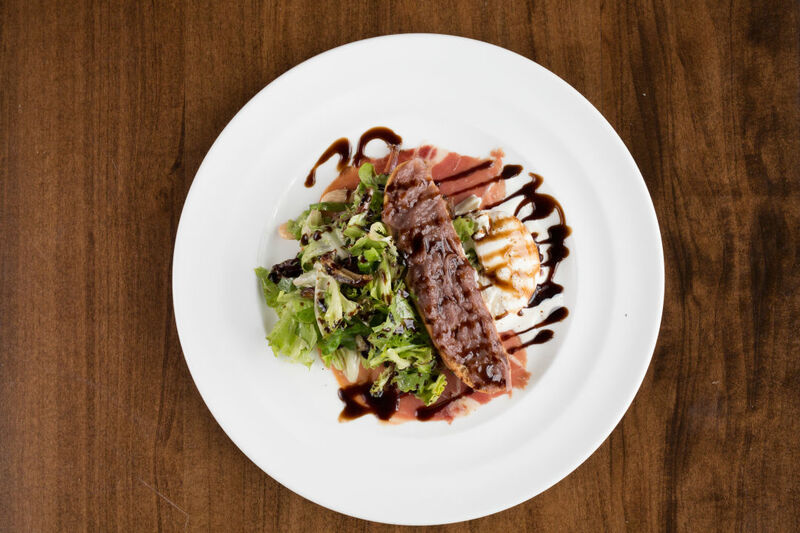 Even if you’re still full from breakfast, the divine setting and savory beef carpaccio make a stop here worthwhile. Ice skating is but one of the many alternative activities around town that costs little and overdelivers on fun. And in all three villages, options abound. 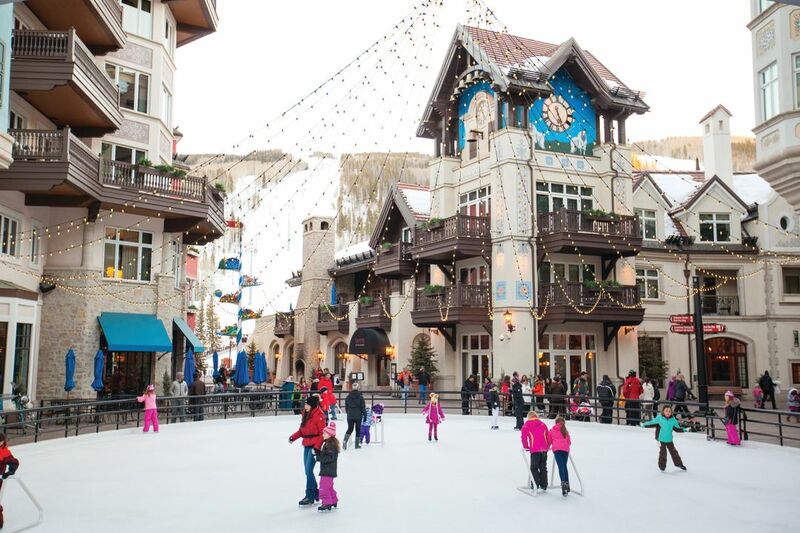 In addition to the Hallmark-moment outdoor rink at Arrabelle Square in Lionshead, two signature rinks—Vail’s indoor Dobson Ice Arena and Beaver Creek’s outdoor ice—offer ample public skate time and a great way to create family memories or try something new as a couple. Dobson, where public skates take place Mondays and Wednesdays from noon to 1:30 p.m. and Saturdays and Sundays from 11 a.m. to 12:30 p.m. ($9 for adults and $7 for kids, including skate rentals), is located on West Meadow Drive across from the Vail Library. Beaver Creek’s rink, meanwhile, is open from noon to 9 p.m. daily; admission costs $5 with your own skates or $15 with rentals included ($10 for kids). Dobson also partners with a number of local skating instructors, including U.S. Figure Skating master-rated coach Tara Lane. “It’s another great way to get some exercise and enjoy the valley,” Lane says. Perusing the spa menu at the Sonnenalp after three days of skiing and skating at altitude is like a bear walking into a meat locker after six months of hibernation. 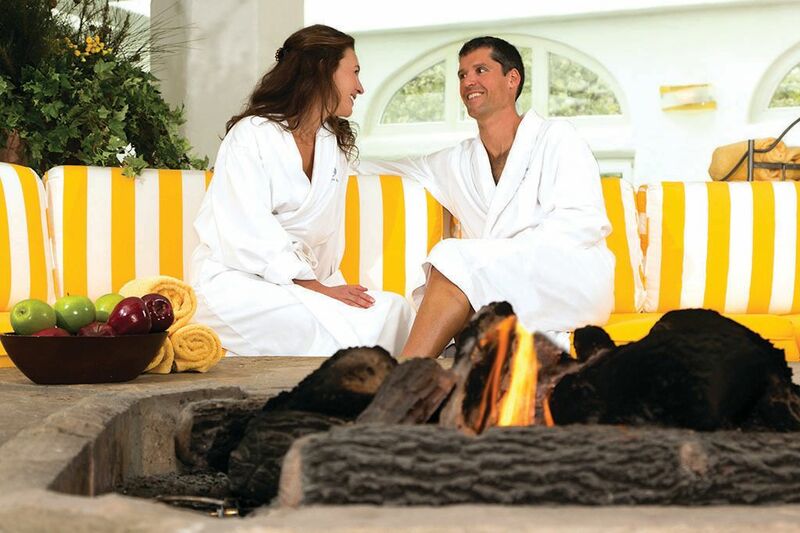 Bliss abounds here, with deep-tissue and hot-stone massages, body scrubs, facials, manicures, and pedicures. You can also partake in daily Pilates and yoga classes, soak in a hot tub next to Gore Creek, or simply lounge around the fireplace. The perfect end to your three perfect days takes you west to Bearcat Stables in Cordillera, where cowboy culture pairs with mountain culture to deliver arguably the most unique dinner experience in the valley. 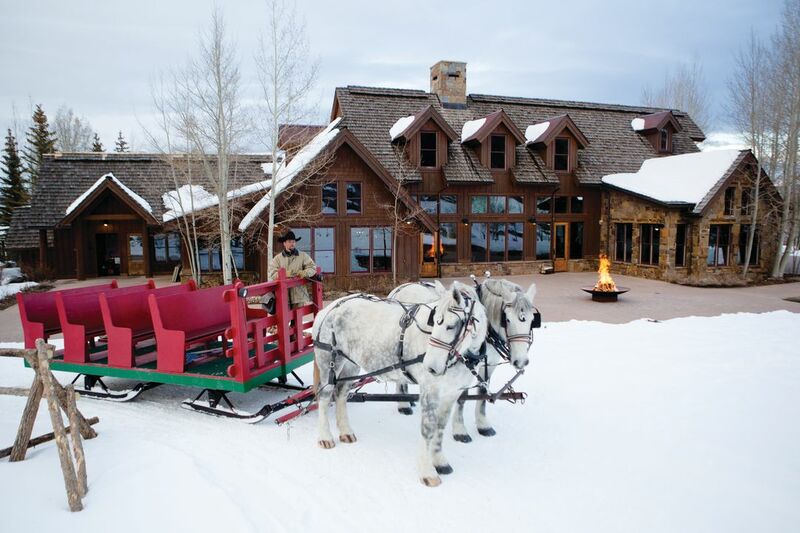 Upon arrival you’ll be greeted by whinnies from a team of 2,000-pound Percheron draft horses who will take you on a sleigh ride over snowdrifts along Squaw Creek, to the Bearden family’s 19th-century homestead. This is where you’ll feast on a scrumptious three-course meal prepared by the Club at Cordillera’s Timberhearth Grill. Entrée options include veggie pot pie and braised short rib in a cabernet sauvignon au jus with roasted Chablis onions; with cinnamon brioche and chocolate ganache glaze for dessert. The sleigh-ride dinners ($85 for adults, and $60 for kids 12 and under) are offered at 5:30 and 7:30 p.m. Tuesday through Saturday during the ski season and seven days a week over the holidays. The memories? They’re free, and last forever.